In March 2017, OneKind held a Charity Lecture here at the College in order to raise awareness and funds for their cause. 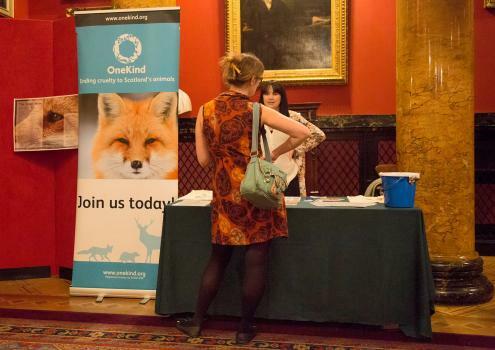 OneKind are a charitable organisation, passionate about challenging and ending cruelty to Scotland’s animals. This public lecture completely sold out, with 150 attendees on the day. 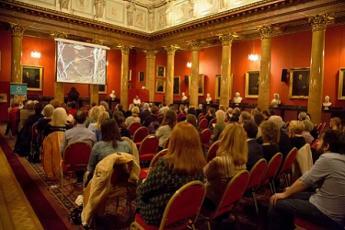 The lecture took place in the Great Hall, led by the main speaker, award winning wildlife photographer, Andrew Parkinson. This was followed by a drinks reception served by Pinkertons. 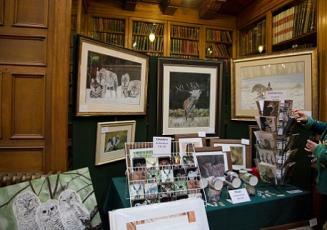 Attendees also had the opportunity to purchase and view a showcase of work from local artists. 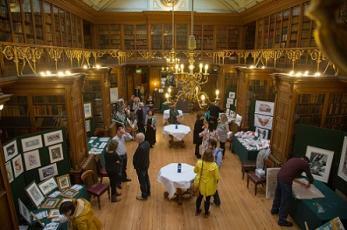 This was held in the New Library, which provided a unique setting to the event’s drinks reception. Photographs taken by Linda Macpherson Photography. I waxed lyrical of the College whenever I spoke to anyone and shall do so with friends and ex-colleagues and will always recommend as a venue because I don’t think it, and the staff, service and experience delivered, could be bettered.